autonoMe Category - Accessibility Services, Inc.
We’ve been discussing how the autonoME is used by individuals affected by different conditions and diseases. Multiple Sclerosis (MS) is our focus for this month. MS is disease of the central nervous system that causes the immune system to damage myelin (the protective coating surrounding the nerve fibers.) This damage ultimately results in scarring (sclerosis) throughout multiple areas of the body. Though the disease can affect anyone of any age, it primarily strikes women between the ages of 20-40. 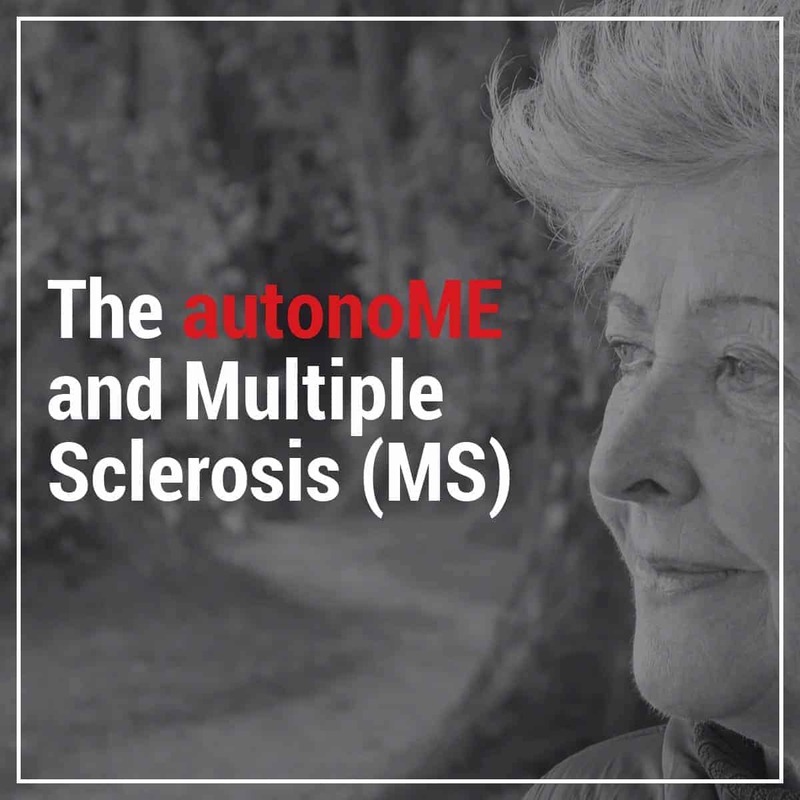 While there are risk factors associated with MS, a definitive cause has not been identified. Some people with MS exhibit no outward symptoms, while others are clearly debilitated by the disease. There are four different types of MS – Clinically Isolated, Relapsing-Remitting (most common), Secondary Progressive and Primary Progressive. Accessibility Services, Inc. has served many clients with Secondary Progressive and Primary Progressive MS, providing them with a custom environmental control unit and speech generating device to help them re-gain independence. The autonoME is unique in that we developed it to be both a custom environmental control unit and speech generating device integrated into one convenient package. We can equip it to fit any type and degree of MS. Most importantly, it is designed to accommodate any progression of the disease. A client who is unable to walk but able to use their hands may benefit from the touchscreen, whereas someone who is immobile may be best suited for eye gaze or head tracking. The autonoME’s full augmentative and alternative (AAC) and environmental control capabilities make it a preferred choice for individuals with MS and their caregivers. If you or a loved one are affected by MS, we can help! Give us a call to learn more. Over the next few months, we will be featuring how the autonoME is used by individuals affected by different diseases and conditions. This month, we will discuss amyotrophic lateral sclerosis (ALS). ALS is a neurogenerative disease affecting the brain and spinal cord nerve cells. It is progressive and results in the inability for the brain to control muscle movement, which eventually leads to loss of speech and lack of ability to move, eat and breath. Unfortunately, there is still no cure for ALS. The autonoME is an integrated environmental control unit (ECU) / speech generation device (SGD) with full augmentative and alternative communication (AAC) capabilities. One of the features that makes the autonoME ideal for individuals with ALS is its ability to accommodate multiple input methods. This is extremely important as the disease progresses. For instance, a person with ALS may initially be able to use touch for commands. 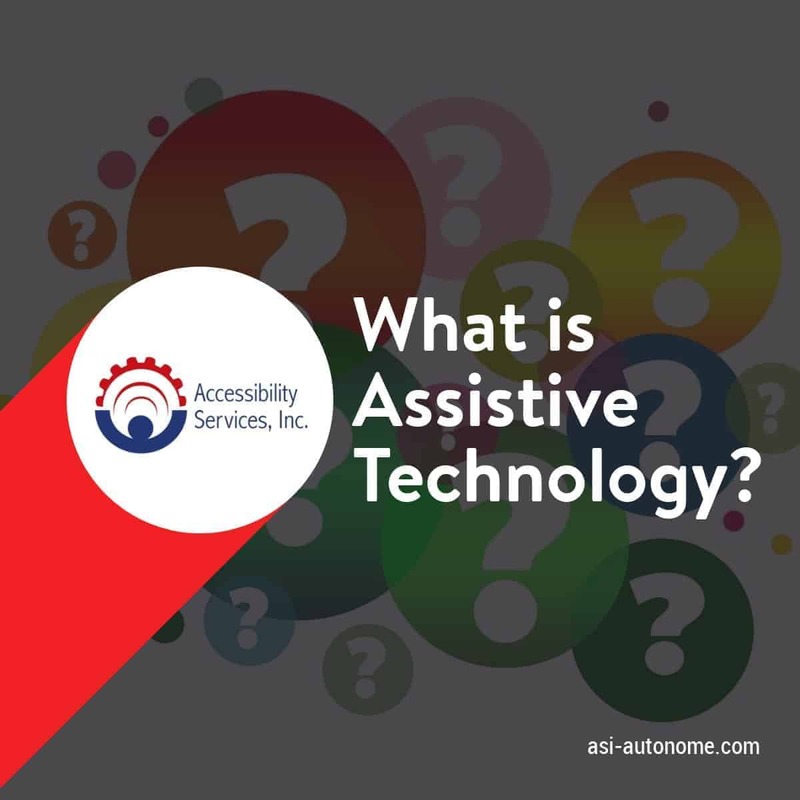 Once their sense of touch becomes compromised by the ALS, they can still control the autonoME using alternate input methods such as eye gaze, sip and puff or eye tracking. Overall, the autonoME helps individuals with ALS become more independent by allowing them to communicate using AAC and control their environment, including lights, doors, fans and television sets. The autonoME can even be customized to allow individuals to access the Internet, make phone calls, send text messages, take photos, play games and more. Are you or a loved one facing ALS? Or, are you a professional who works with ALS patients? 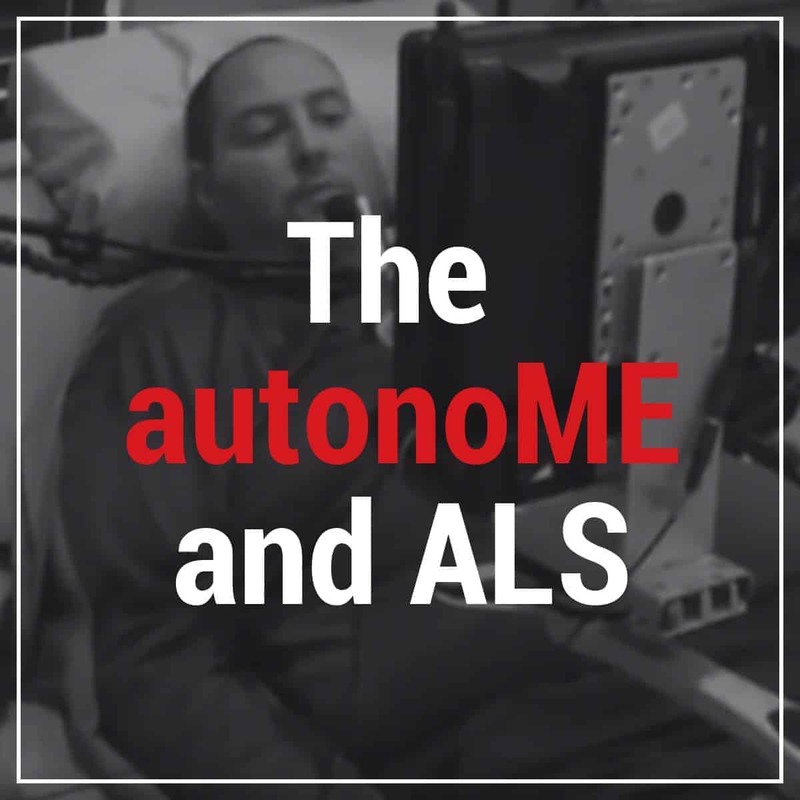 If so, please give us a call to learn more about how the autonoME custom environmental control unit / speech generating device can help improve overall quality of life for both the individual with ALS and their caregivers. The autonoME is a custom environmental control unit / speech generating device that can be used in both hospital and residential settings. 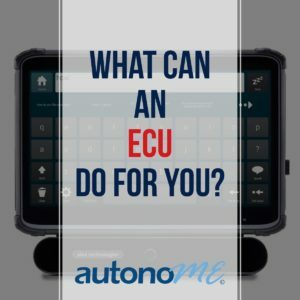 As a hospital ECU, the autonoME not only helps patients gain independence and the ability to control their environment, but it also frees up staff time that can then be dedicated to patient medical care. Spinal cord injury units throughout the country are equipped with the autonoME. 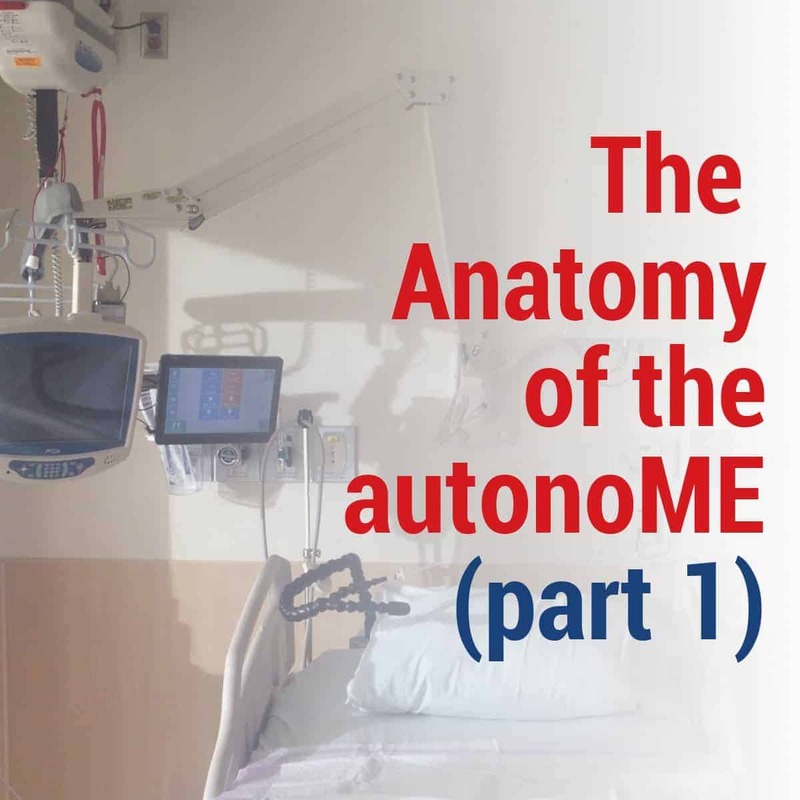 We will be posting several articles over the next few months which outline why the autonoME is a preferred ECU unit for hospital settings. Let’s take a closer look at the anatomy of the autonoME. 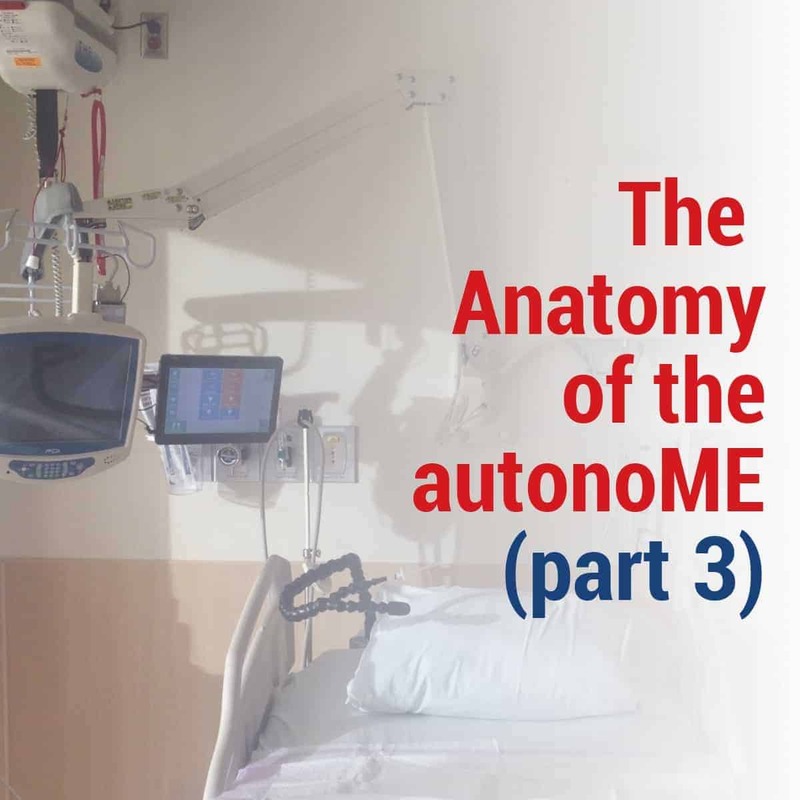 The autonoME is one of the most ideal ECU units for hospitals because of its all-in one features and comprehensive capabilities. 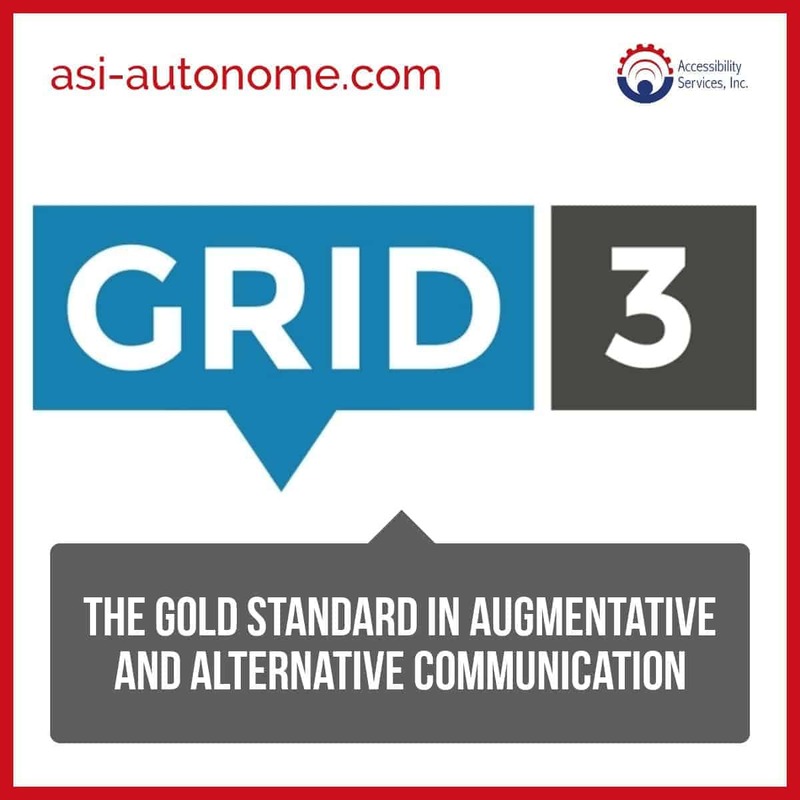 Not only is the autonoME a full environmental control unit, but it is also capable of augmentative and alternative communication (AAC). Couple this with the fact that it is also a computer equipped with the Windows operating system and you have the perfect all-in-one ECU / AAC solution! The autonoME is a custom environmental control unit that can be retrofitted into existing infrastructure. Cables and clutter are eliminated as Accessibility Services Inc. (ASI) has manufactured a convenient wall box that holds all of the necessary components. When it comes to new construction installation, we can serve as part of the planning team. Next month, we continue to examine the anatomy of the autonoME and what makes it a perfect ECU unit for hospital settings. Want to learn more about the autonoME? Give us a call for a complimentary consultation! We have been highlighting various types of jobs for quadriplegics. This month, we will take a look at customer service careers. Customer services jobs provide excellent employment opportunities for individuals with disabilities. In fact, quadriplegic assistive technologies including environmental control unit (ECU) devices and a speech generating device have made it possible for persons with quadriplegia to do more than ever before! The autonoME is an integrated, custom environmental unit and speech generating device that can be personalized to each individual. ECU devices have made it possible for persons with quadriplegia to become gainfully employed as on-site customer service representatives. In cases where speech is a challenge, a speech generated device can be added for augmentative and alternative communication (AAC). Some businesses have a customer service desk where employees answer questions and resolve issues. Others have customer service representatives on the “floor” who can be called upon to answer questions at any time. ECU devices and/or a speech generating device can help persons with quadriplegia perform the duties of a telephone and/or virtual customer service representative. There are many of these jobs available that can be performed in the comfort of your own home with a telephone line, computer and Internet connection. Quadriplegic assistive technologies including a custom environmental control unit and speech generated device can be implemented to make using a telephone and computer possible. While the requirements vary for different businesses, the basic requirements for customer service jobs include a general knowledge about the company’s products and/or services, ability to communicate with customers, willingness to resolve customer complaints and a positive, welcoming attitude. Equipped with ECU devices and/or a speech generating device, persons with quadriplegia can excel in customer service careers!